Salt poisoning is toxicity due to an increase in salt (sodium chloride) concentrations in the blood. Salt poisoning occurs most commonly when livestock have been restricted from a fresh water supply for more than 24 hours. This water restriction causes a relative increase in salt concentration in the blood due to dehydration and is more likely to occur if livestock are being fed a high salt diet or one in which salt is added but inadequately mixed. being watered on troughs which have been inadequately cleaned allowing salts to build up. This occurs less commonly as livestock become accustomed to gradual variations in water salinity and will often refuse to drink excessively saline water. It is more likely to occur when livestock are suddenly introduced to the water supply, especially if they are thirsty from travel or during high daytime temperatures. Livestock tolerances to saline water are described in the following webpage: Water quality for livestock. All livestock can be affected by salt poisoning if fresh water is withheld for longer than 24 hours. Pregnant or lactating stock, young animals or animals subjected to heavy heat stress or water loss are most at risk of salt poisoning as a result of excessively saline water. Livestock affected by salt poisoning should be slowly introduced to small amounts of fresh water frequently until rehydration has occurred. If salt poisoning is a result of consuming excessively saline water, livestock should be immediately removed from this water supply. Often salt poisoning is only noticed after livestock have already had access to fresh water so preventing further access is of no benefit. Seek veterinary advice on how to further manage affected livestock. Check water supplies regularly, especially if livestock are watered on troughs or bores which may malfunction. Only allow thirsty livestock access to small amounts of water at frequent intervals until they rehydrate. 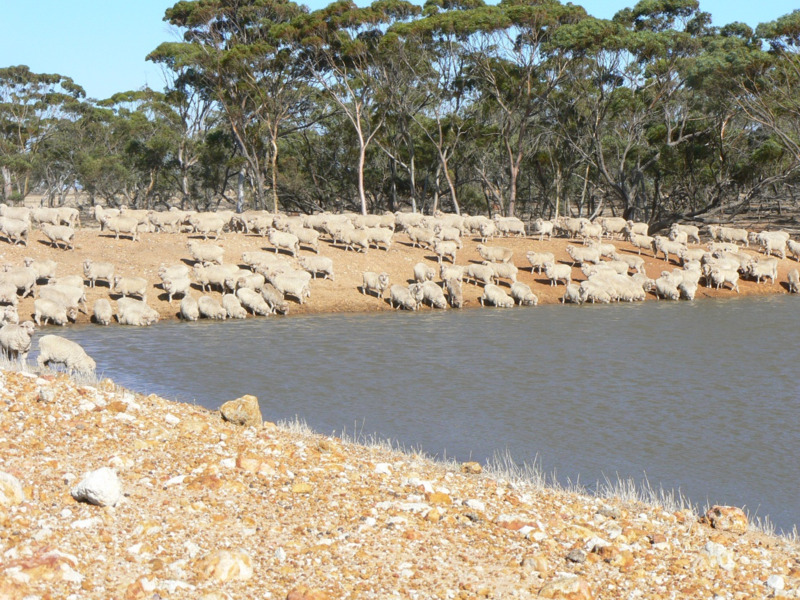 Avoid sudden introduction of livestock to saline water supplies. Carting fresh water for a few days to mix with saline water can help livestock adapt. If adding salt to rations, ensure the correct rate is added and it is adequately mixed. Do not allow water to accumulate in salt lick or block containers. exotic diseases such as bovine spongiform encephalopathy (BSE) and Aujeszky’s disease. A veterinarian will be able to investigate whether salt poisoning or another disease is occurring. Your veterinarian will also be able to provide advice on the most appropriate treatment for stock in your particular situation. Producers play a vital role in early detection of exotic diseases in Australia. If you see unusual disease signs, abnormal behaviour or unexpected deaths in your stock, ring your private veterinarian, the local Department of Agriculture and Food (DAFWA) Field Veterinary Officer or the Emergency Animal Disease hotline on 1800 675 888.